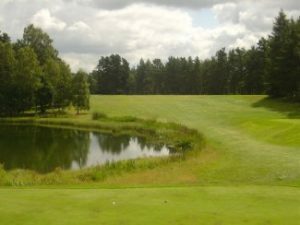 Tee off in May for Down’s Syndrome Scotland. Our 3rd Annual Golf Classic at the Rosemount Course in Blairgowrie is now sold out. Thank you to all the teams. If you have any questions about the day itself please email fundraising@dsscotland.org.uk. This promises to be a great day where teams can compete to win our 3rd golf classic on this stunning inland course. Teams of four tee off with a shotgun start and all meet up back in the club house for lunch and presentation of prizes. The winning team will take home the Archie Graham Cup. The day starts with a 9am registration and bacon rolls with a shotgun start at 10am. To book your teams place please complete the form by following the link below, if you would to discuss sponsor opportunities please contact Kerry on kerry@dsscotland.org.uk or call 0131 442 8840.